Cooperation from the local community is essential for the protection of threatened lands like Nairobi’s Karura Forest, says Alice Macaire, whose locally based efforts to protect the forest have led to its rejuvenation. The Friends of Karura Forest conservation effort began in 2007, building on earlier effort by Professor Wangari Maathai, who originally rescued the forest from development. Electric fence now encloses 900 hectares of the forest, and 29 rangers and scouts patrol the area full-time. 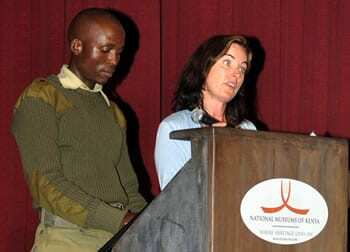 At a gathering sponsored by the Kenya Museum Society, Macaire presented a film and talk about the efforts of the group to protect the forest, which is near the Muthaiga area of Nairobi. She credited people living in the adjacent Huruma slum with much of the eventual success of the project. Prior to the conservation efforts, Karura had a reputation as dangerous spot. Muggings, robbery and violence were common. At one point, said Kenya forest official Charity Munyasia, they were discovering one dead body there per fortnight, on average. One of the community workers asked those in attendance if they knew the people doing the attacking in the forest. The men said they did. She asked, “Are they predominantly from your community?” and they said they were. From then on, the group as able to work with the community, providing some employment, setting rules for gathering wood and feed within the forest, and other benefits. They were aided especially by some dedicated local conservationists, including John Chege and Charity Munyasia, to fence some of the area and open it to public visits. More than 3,000 people visited the forest in the first month after the fence and gates opened, and 2,000 the following month. The group has ambitious plans for improvements that will make the visitor experience even better. The forest contains a three-tiered waterfall, three rivers, bamboo groves, and more than 50 kilometers of hiking trails. There are also caves of historic interest from the time of the Mau Mau rebellion. Wildlife includes bush baby, bushbuck, bush pig, civet, dik dik, duiker, epauletted bat, genet and porcupine. Conservationists are considering reintroduction of the colobus monkey, which was once populous there, but has been eliminated from the area. The forest is one of the largest gazetted forests in the world located entirely within city limits. There is a tiered fee for entering. 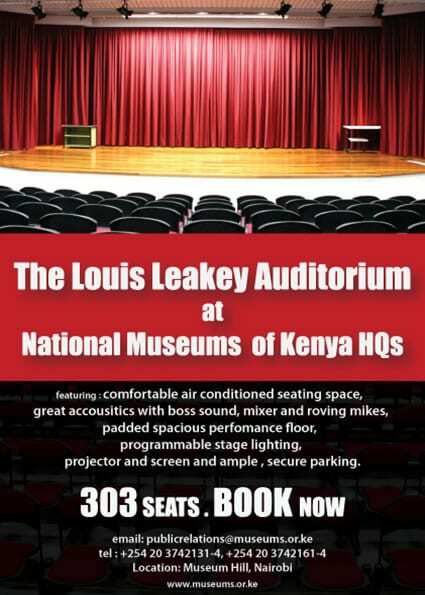 Macaire spoke at the KMS event held at the Louis Leakey Auditorium on Wednesday, 13 April, 2011.